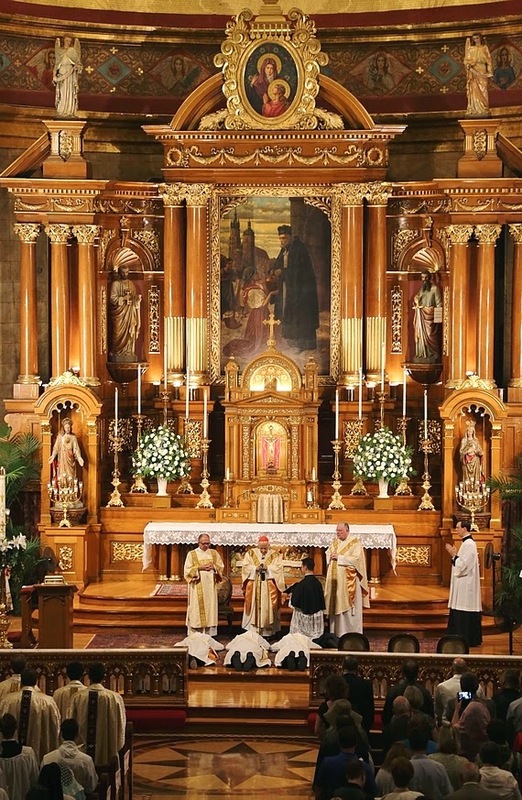 Readers of New Liturgical Movement will be very familiar with St John Cantius in Chicago. The amazing story of this church, its community and liturgy is documented in an inspiring video which you can see here. 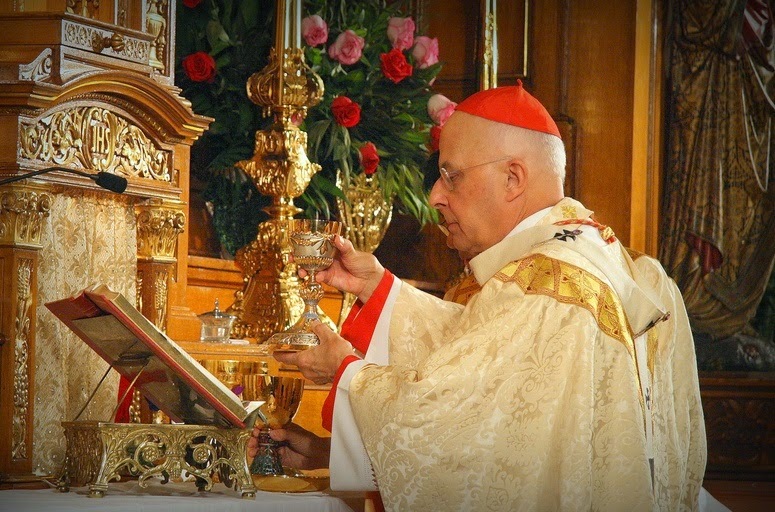 St John Cantius is very much part of the legacy of the late Cardinal Francis George. 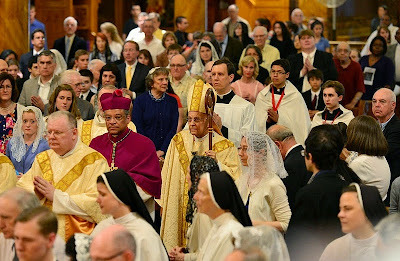 From the beginning of the Canons Regular, it was Cardinal George who envisioned that a small community of men founded at a run-down Chicago church would become a flourishing order dedicated to the “Restoration of the Sacred.” With reference to the late Cardinal, Father Frank Phillips has described the community thus: "We are a living legacy of this shepherd of souls." The Canons Regular have posted a beautiful tribute to Cardinal George which you can see here, however I have taken some photographs and posted them directly below. They include the ordination of Fr Joshua Caswell, Fr Nathan Caswell and Fr Kevin Mann, the last priests he ordained before his death.